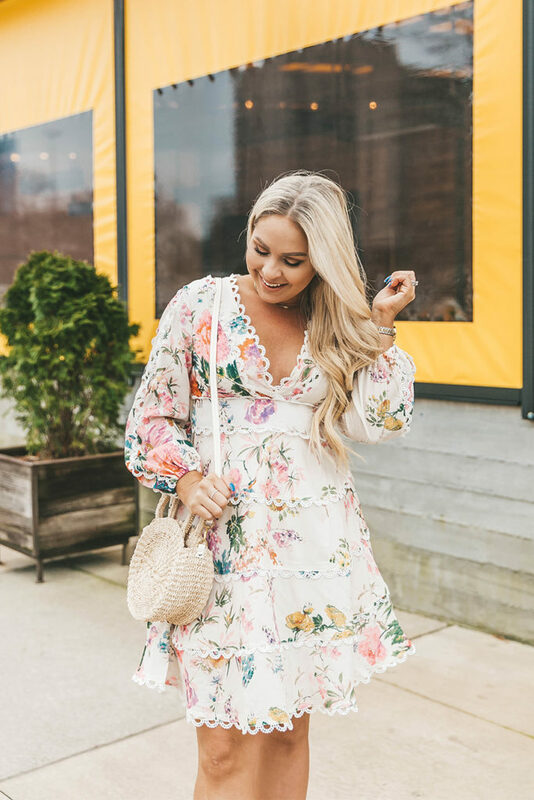 I personally prefer investing in one or two designer pieces because I believe that you get what you pay for, but I have definitely purchased dupes in the past when it came to trendier items or things that I was on the fence over. I also have a handful of sunglasses that are dupes (including the $10 Karen Walker Super Dupers below) that I bring on vacation, to the beach, or out on the lake so I don’t have to worry about losing them! 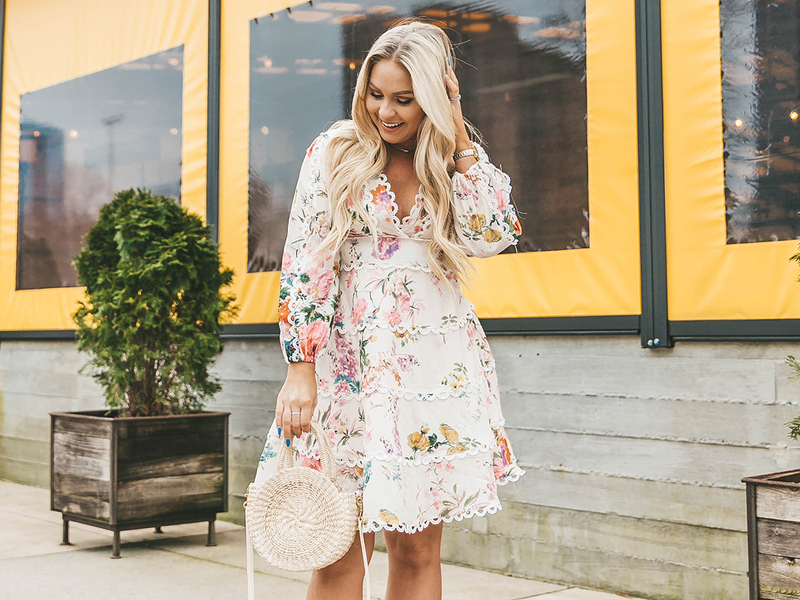 I thought that this gorgeous floral dress was the perfect outfit to include in this post, because it is a $70 dupe of the $850 Zimmermann Heathers Dress. It is amazing quality, fits true to size (I’m wearing a medium), and also comes in a stunning maxi version… which I actually also own! And while I am wearing the Clare V Petite Alice Tote, I recently received this $25 monogrammed straw crossbody that I love equally. Click on the image below to shop the rest of my designer dupe favorites!